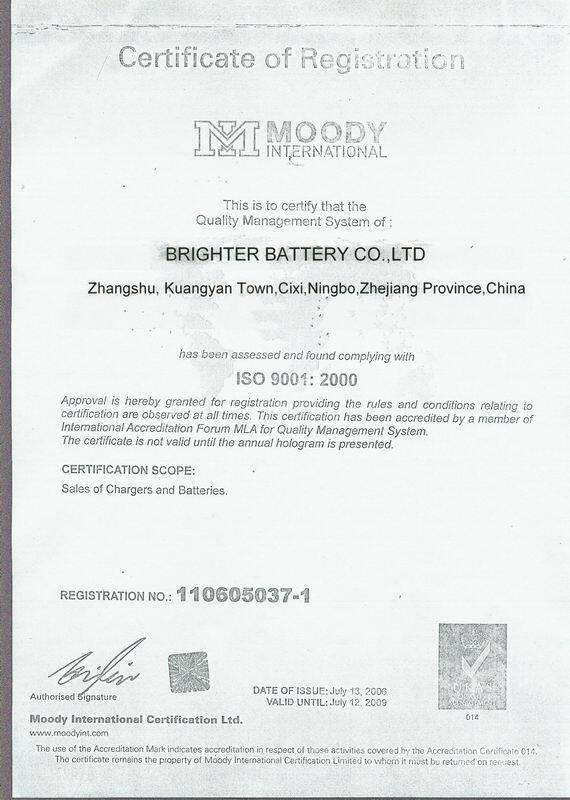 Company Overview - Cixi Brighter Battery Co., Ltd.
6YRSCixi Brighter Battery Co., Ltd.
BRIGHTER BATTERY Established in 2002, has over 10 years of manufacturing experience. It is one of the best dry battery and rechargeable battery manufacturers in China. We have imported advanced production lines to ensure quality and our products have been approved by SGS, ISO9001&14001, CE, IEC Standards and other certifications. 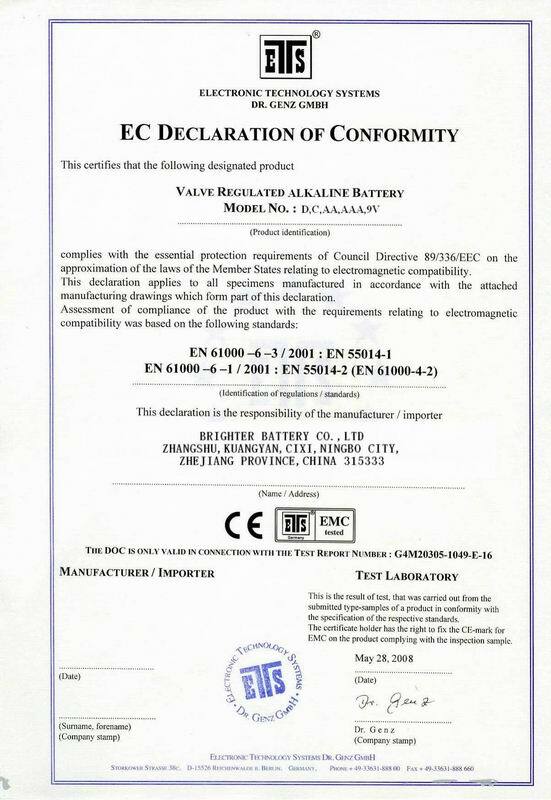 All Alkaline batteries are of 0% mercury & cadmium, complying with EURO environmental requirements as well as RoHS compliant.We have professional teams on R&D and engineers and quality control experts on product development. 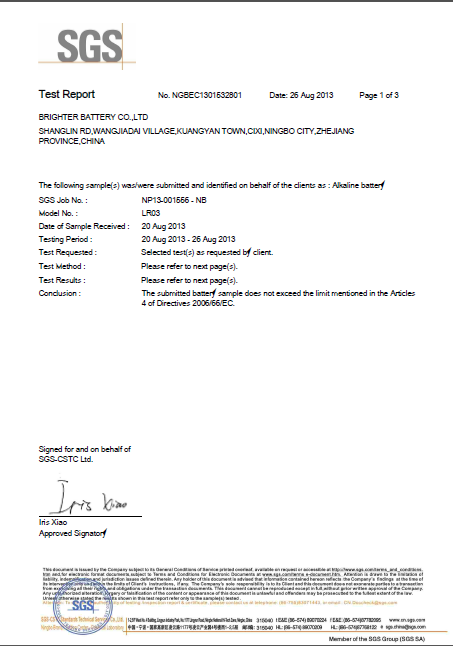 At the same time, brighter rechargeable battery, like Li-Ion, Ni-Mh, Ni-Cd rechargeable batteries and battery packs, also have the best quality and enjoy a high reputation among customers.Batteries can be used in LED light, emergency light, flash light, power tools, toys, electrical home appliance, portable computers and all products which need batteries. Our company is nearby Ningbo, so we enjoy convenient transportation. Hope to make friends with customers all over the world!